1. You need a nice profile: profile is your identification here, it depicts how people see you and what they think about you. Profile is where your business begins with in Facebook, so you need a nice profile picture for a start and make sure to create a nice relationship with your friends. In the About You page, write about your occupation. 2. Posting your status: Your posts should be about your business and the type of things you do for a living. This you have to do consistently to create trust. For example, Am a web designer, if you need or knows someone who wants a personal website or company website contact me. 3. Watch what your friends love: If you are a sales representative for a company that are into cars, and one of your friends loves cars, you can send him a message attaching the pictures of cars you sell or post it as a status and tag him, who knows, he might want to get one. 4. Grow your friends: Add friends up, but please don't over do it, cause Facebook will definitely block you with time. Growing your friends to maximum of 5000 means a lot of business for you. Before you post links in Facebook it means you already have a blog or you are an affiliate marketer. Bloggers: Making money through this process is nice because as a blogger, you earn more as your visitors grow, that is if your blog is monetized. So sharing your post links could increase your visitors. Affiliate Marketers: As an affiliate marketer, there are chances that you could get a buyer through the affiliate link you shared on Facebook. 1. 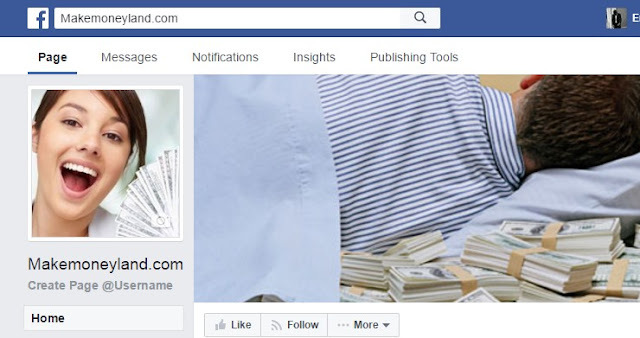 Create Facebook Fan Page: This is the first step in this process. Creating a Facebook fan page is easy, you can use this link to get started facebook.com/pages/create. 2. Content of Your Facebook Page: The content of your page determines what your page can do for your fans. Getting Likes is not that easy, although you can speed things up by sponsoring your page with some few dollars. Make sure to post things that your fans love, and things related to what your page is talking about. Facebook pages works by engagements, so the more people that likes, comments and shares your posts the more your page grows. 3. Create a blog or website: you need to create a website or blog, most times people use the same page name as their website url, that's the best practice though. Don't always post links of your blog content to your page, make sure to always add write ups. Sharing the links will definitely increase your website visitors which in turn increase your earnings. 4. Earn through your posts: Here's the final point, if you have much facebook likes and don't want to stress yourself going into creating a blog, you can sell posts to people. It sounds confusing right? but its simple, just contact bloggers and be sharing their links in your page and earn from there. Another method is to register with ShopSomething, but make sure you have a minimum of 1000 Likes. The good thing about Facebook groups is that its the easiest to grow. 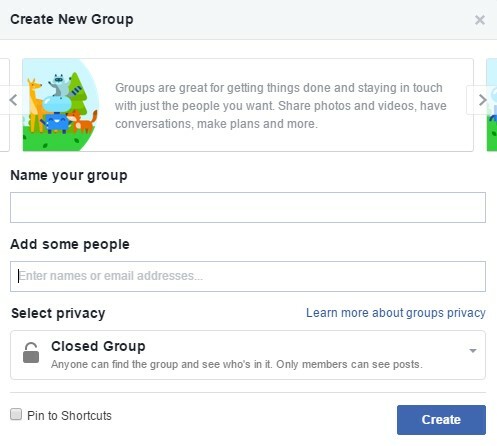 If you don't know how to create a Facebook group, use this link. Now since the group have been created, let's list the steps on how you can earn money from it. 1. Add all your Facebook friends: Adding your facebook friends to your group is quite easy, just invite them to your group. 2. Join popular groups: that has large members and promote yours there, but don't over do it. But make sure the groups you advertise on also talks about what your group is all about. 3. Time to promote: Promote only when you see people requesting to join your group. That's a signal that you are now popular.